Originally established in 2010 and now being relaunched in 2014 with private sector sponsorship and advertising from local business and selective affiliate programmes. 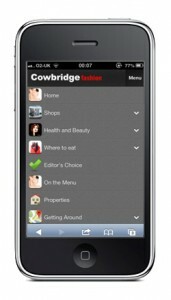 Demonstrates use of social media networks to provide virtually real time offers and promotions in the town of Cowbridge. A web application for mobiles called ‘Shopping Companion’ takes advantage of the free WiFi zones in the town to provide daily updates on special promotions and offers currently available in the shops. 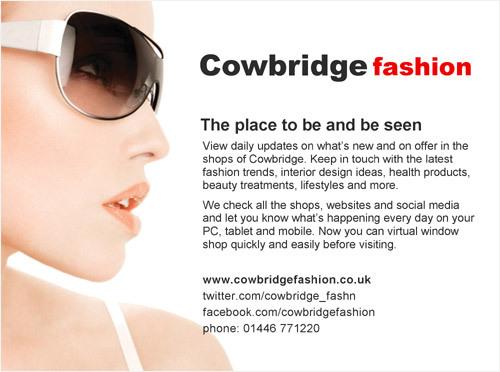 Scott Manning sponsors Cowbridge Fashion and is responsible for the original concept and overall management of content. It was set up to demonstrate how websites and social media networks could help in the regeneration of High Streets. 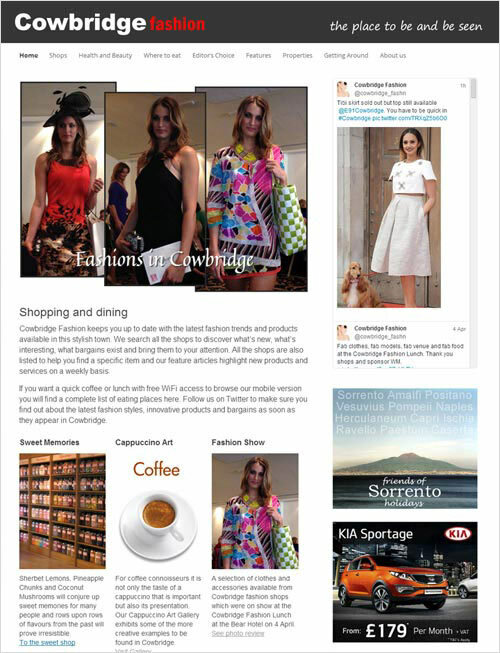 See our recent article Digital Retailing in Cowbridge. Example of promotional material produced by Scott Manning and distributed to visitors to help raise awareness of the brand, website and social media.